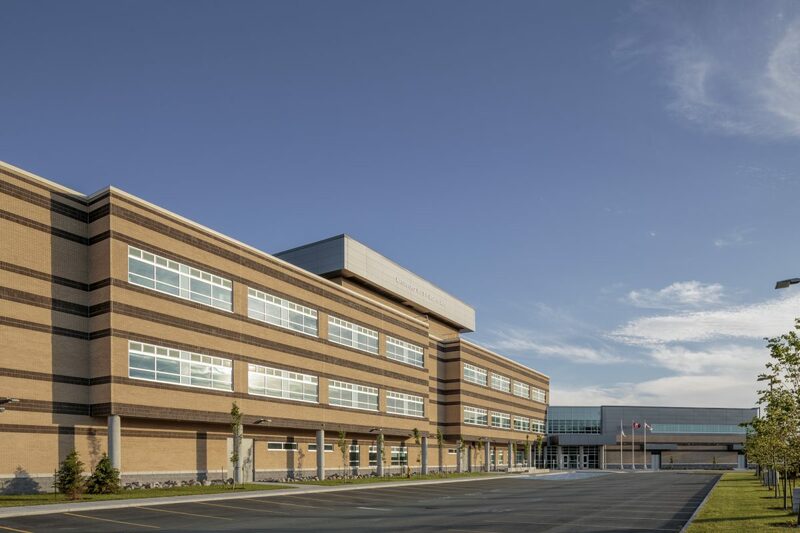 This 3-storey, 9 569-square-meter school accommodates 860 students. 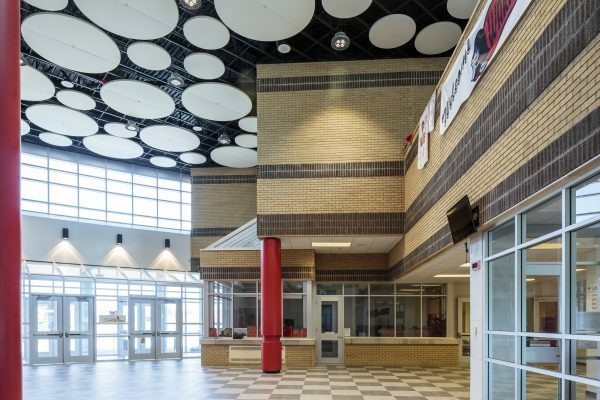 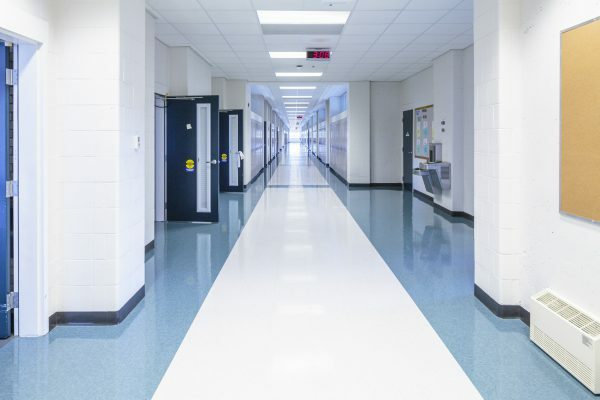 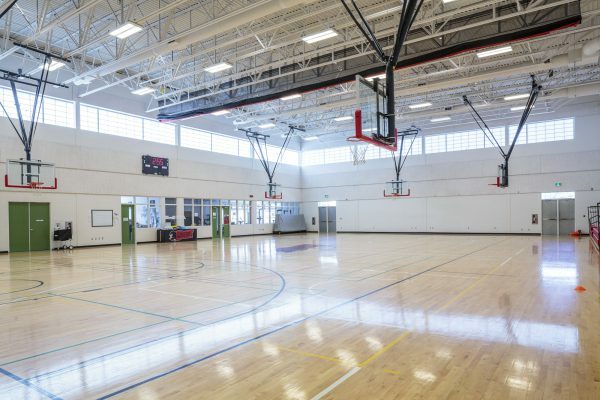 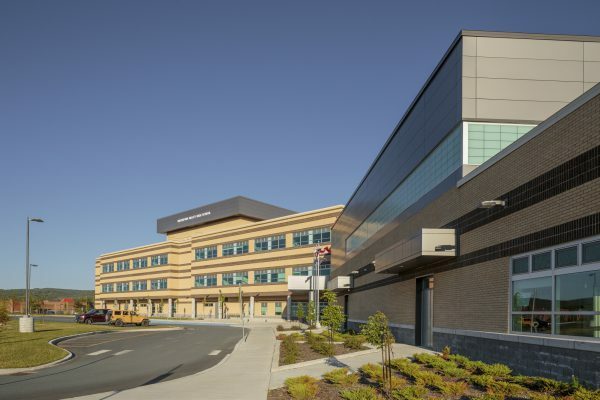 It replaces two older schools in the area and is seeking LEED Silver certification. 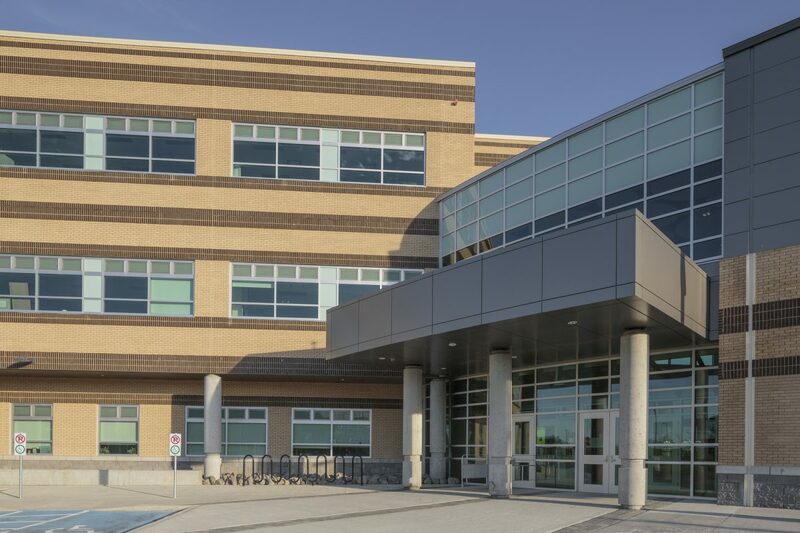 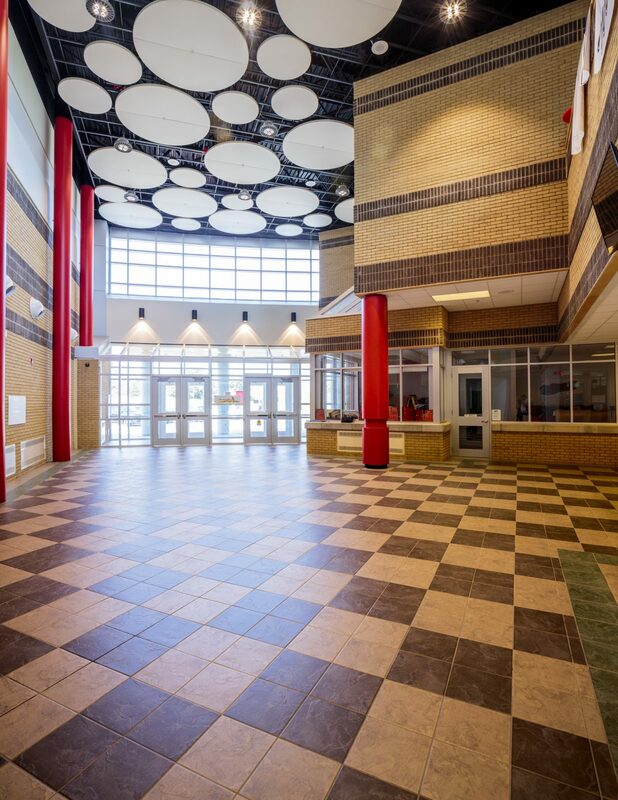 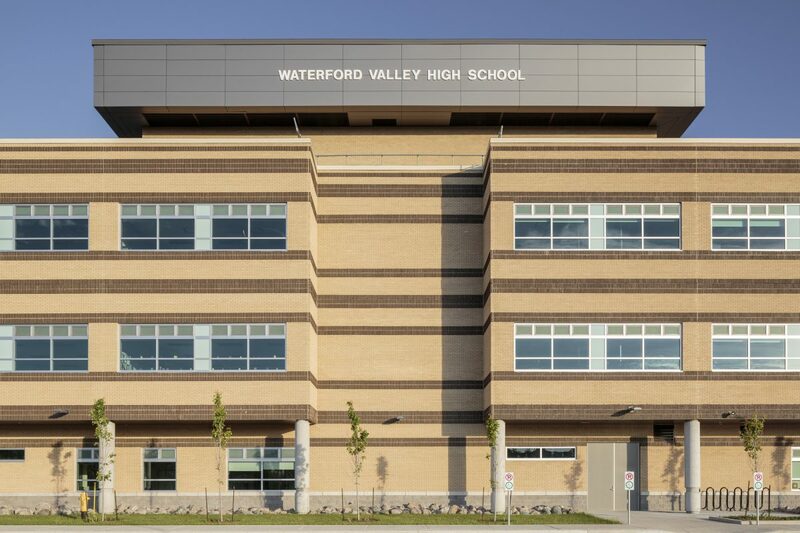 This modern facility features Wi-Fi equipped classrooms, a fitness centre, a band room, a gymnasium with a performance stage, and an exterior soccer field. It also contains a daycare for student parents.